I will be very interested to see what your readers suggest. I have a site with several PR4 pages and some even higher that I will be selling ads on. I have never done this before, so I am questioning the “value” of the links I am offering. I’m waiting for a suggestion also. 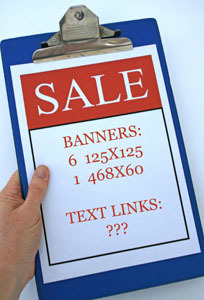 I have tons or ad space on my site but haven’t the faintest clue what they are ‘worth’.